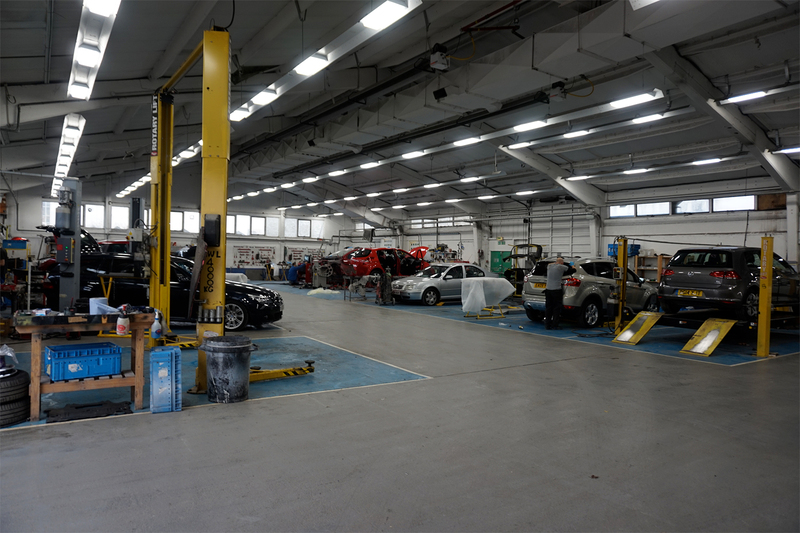 IDES have worked in partnership with a quality UK Lighting manufacturer who have over 30years expertise within the industry and have developed market leading LED products specifically for the bodyshop industry. Although our organisation has the ability to source any LED product available, the luminaires listed in this overview have been designed, developed and funded by IDES and therefore we hold the sole rights….making them exclusive and unique to our clients. The AUTOLUX is a high output, high quality, LED luminaire that will provide a bespoke, low energy, low maintenance solution whilst meeting the lux levels demanded by leading automotive manufacturers. 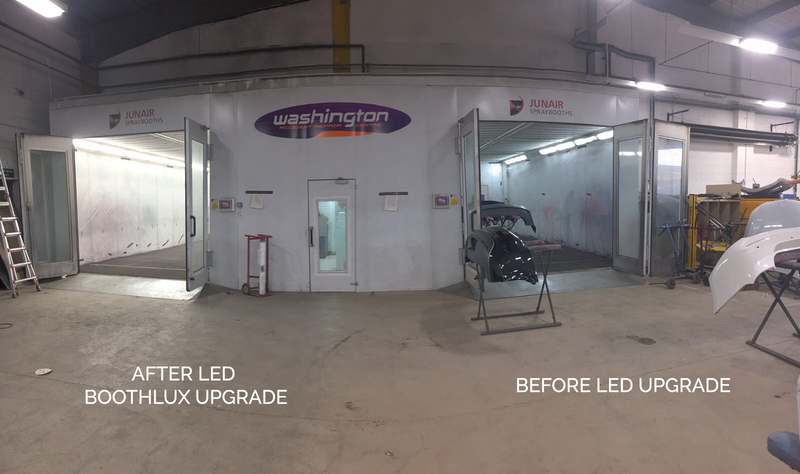 This easily installed, retro solution, for bodyshops with PL lamps in service trays, is extremely competitive and contains market leading, Philips components. These are the most efficient LED boards and drivers available and are guaranteed for 50,000 hrs, offering approximately 15yrs maintenance free illuminance. The Philips components work to a L70 standard i.e. after 50,000 hrs the LED’s will still emit 70% of the light on day one, and have guarantees to verify this claim. The Philips LED’s are 5000k which provide the preferred colour temperature within the industry, and our full RELUX design service will ensure that their output is achieved with the correct levels of uniformity i.e. the distribution of light is even, thus reducing hot-spots and shadows, which obviously hinder body shops. 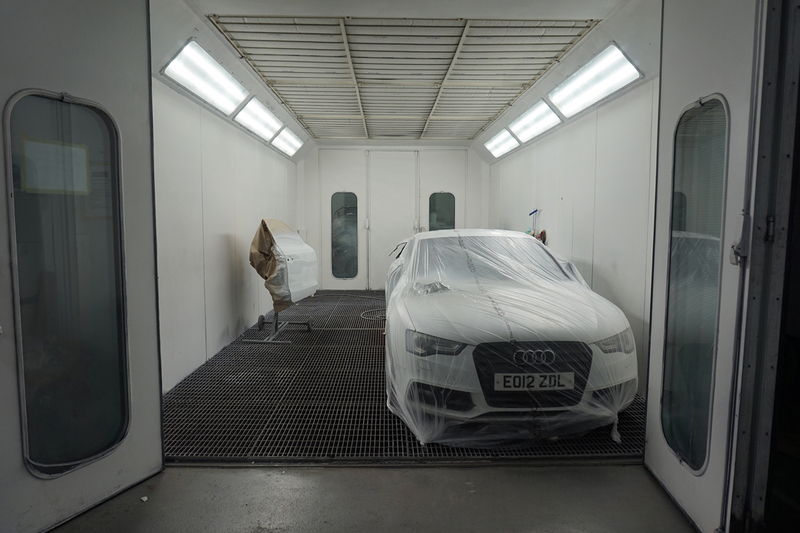 The eagerly awaited BOOTHLUX will retro fit into any spraybooth and will guarantee average illuminance levels of over 2000 LUX on the Finished Floor. Easy to install with minimal disruption to the bodyshop, IDES are confident that this will become a coveted and fast selling addition to our portfolio. The fittings again contain the market leading Philips components and have the necessary certification that guarantees 50,000 hrs to L70. All these luminaires have been officially photometered which allows a RELUX lighting design to be provided to the client. 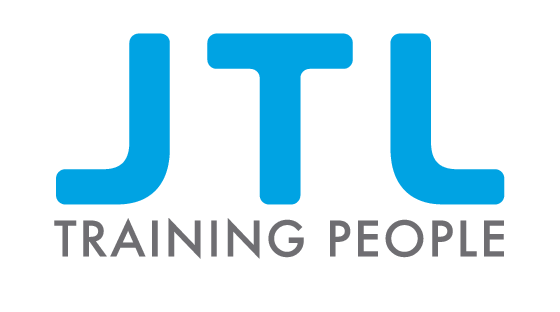 “We have always been strong believers in continuous improvement and re-investment in our business; whether that be training, equipment, vehicles, premises, branding, staff welfare – the list goes on. Due to their exceptional service, professionalism and industry knowledge, we have forged a close working relationship with IDES, and they are now our chosen partner for all things electrical.